Born: 24 May 1844, Longhope, Gloucestershire, England. Died: 1 March 1923, Gloucester, England. 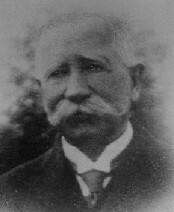 Samuel Wiltshire qualified as a veterinarian in London in 1872 and was appointed in 1874 to the "Office of Colonial Veterinary Surgeon and Inspector of cattle at the Port of Natal", the first official appointment of a veterinarian in Natal and in South Africa. His appointment was mainly a result of the report of the Natal Redwater Commission of 1873 (see James W. Winter*). Arriving in October 1874, his first report, published in the Government Gazette of 29 December 1874, dealt with glanders at Durban. During the next few years he also reported to the government on quarter-evil (1877), redwater (1877), horse-sickness (1878), and heartwater in sheep and goats (Veterinary Journal, 1881). In 1880 Wiltshire also took over the control of all sheep inspectors. His measures to control stock diseases were met with opposition by the farmers and all his attempts to convince the authorities of the necessity of legislation to enforce them failed. In 1893/94 he was sent to the USA to study the advances made regarding the transmission of redwater or Texas fever by ticks. In his report to government he wrote "I am unable to accept the theory held at Washington that the disease is conveyed by the bite of ticks", but also added "no matter what views we hold they have yet to be subjected to the strictest scientific tests which can only be done by specially trained bacteriologists with well equipped laboratories, sheds and kraals and carefully selected animals". Again there was no reaction from the government. In 1896 his post was abolished. In response he applied to the Natal government for compensation, as well as free passage to England for him and his family. Although obviously a dedicated scientist, his principle remaining written records are his official reports. He did, however, publish a pamphlet on Horse-sickness in Natal (Pietermaritzburg, 1886). Wiltshire was married to Clare Isabella Goodwill. After her death in 1903 he married Harriet Vans. Curson, H.H. Matters of veterinary interest, 1795-1881, Part 3. Journal of the South African Veterinary Medical Association, 1935, Vol. 6, pp. 274-296. Gutsche, Thelma. There was a man. Cape Town: Howard Timmins, 1979. National Archives Repository (TAB), Source MHG, Vol. 0, Ref. 52797: estate papers, Samuel Wiltshire. National Automated Archival Information Retrieval System (NAAIRS). . Documents relating to Wiltshire, Samuel / Wiltshire, S.
Posthumus, P.J. Past veterinarians in South Africa, 10th Edition, Vol.2, .